Allergy Standards deepens footprint in the ‘Bay Area’ as Irish Minister for Health visits. San Francisco, USA. 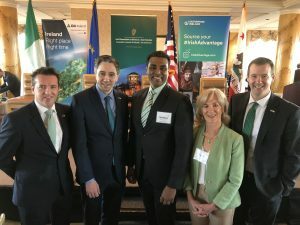 (March 14, 2019) – Allergy Standards Limited (ASL) has been expanding its activities on the West Coast and a visit to San Francisco, Berkeley, and Los Angeles by its CEO Dr. John McKeon and CIO Dave Morrissey this week is providing the opportunity to further deepen its presence and develop its initiatives in healthcare analytics. 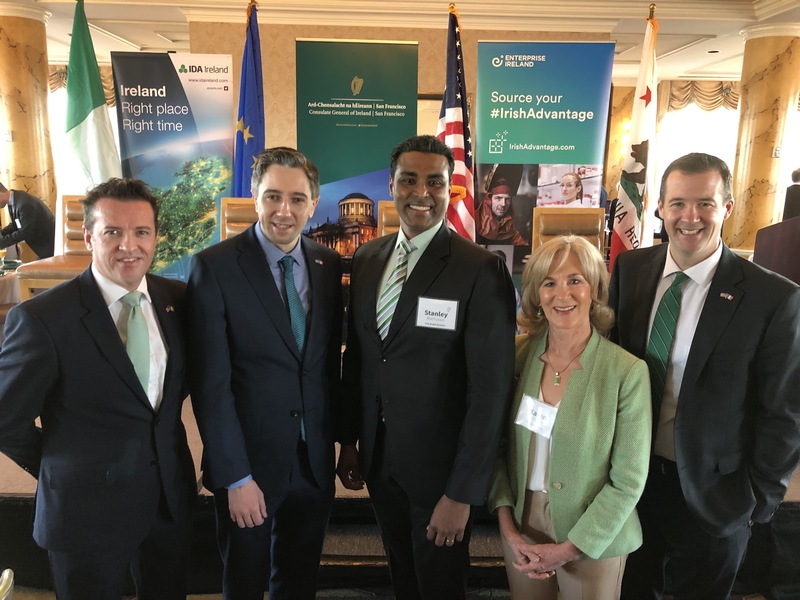 The ASL team have attended a number of Irish Government business events hosted by Enterprise Ireland over the St Patrick’s Festival period, including an Enterprise Ireland business breakfast at which the visiting Irish Minister for Health Simon Harris TD was present. A full-day certification workshop with strategic partners SCS Global Services in Berkeley provided the opportunity to accelerate the partnership under which SCS Global Services is now approved by ASL to offer the asthma & allergy friendly® Certification. While in Berkeley, a visit to one of ASL’s testing partners, Berkeley Analytical, reinforced the strong relationships that ASL maintains with all of its testing partners to ensure that its certification remains robust and trusted by consumers and industry alike. Stanley Mathuram Vice President, SCS Global Services (SCS) said, “SCS, is a trusted leader in third-party certification. Our mission is to build value for our clients through auditing and standards development that positively impact on lives and the environment. We are delighted to scale our relationship with Allergy Standards in the US and internationally. Meeting the Irish Minister for Heath with the Consul General demonstrates the high regard that ASL are held in”. Allergy Standards Limited (ASL)’s mantra is design thinking and innovation for healthier indoor air for the allergy aware consumer. As an independent, international certification company, it creates meaningful scientific standards for testing a wide range of products and services to determine their impact on improving indoor air quality. ASL’s intellectual property portfolio includes unique testing protocols and suitability specifications for products to be CERTIFIED asthma & allergy friendly®. ASL’s mission is to improve lives by empowering people to create the healthiest possible indoor environment through science, education and innovation. By Dave Morrissey|2019-03-22T16:36:30+00:0016 March 2019|Comments Off on Allergy Standards deepens footprint in the ‘Bay Area’ as Irish Minister for Health visits.